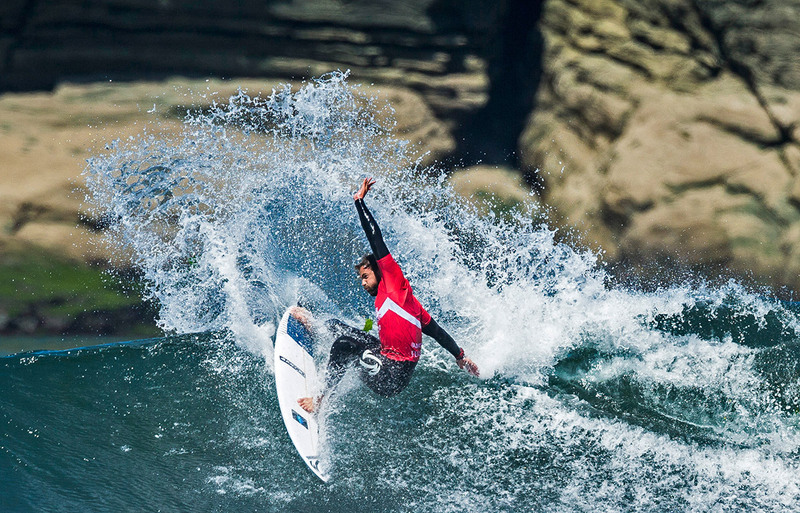 Adin Masencamp looks set to improve on his 29th QS ranking after reaching Round 6 of the Pull&Bear Pantin Classic Galicia Pro in the northwest coast of Spain, with small surf set for finals day. In-form Masencamp cruised into Round 5, where he won his heat ahead of CT tour veteran Nat Young (USA), with Kiron Jabour (HAW) and Samuel Pupo (BRA) falling out of the competition. To be the best you have to beat the best, and Masencamp will have a tough tussle in Round 6, when he faces Gatien Delahaye (FRA), Alejo Muniz (BRA), and Aritz Aranburu (ESP), the latter being two CT stalwarts. Long time CT competitor (five years up to 2017) Nat Young (USA) applied his textbook backhand attack on the rights and posted one of the biggest heat totals of the day in Round 4. The Californian didn’t find the same opportunities in the following round but managed to squeak through behind Masencamp to keep his Pantin run alive. Seven-year Championship Tour athlete Alejo Muniz (BRA) demonstrated his superiority by claiming the day’s highest single scores of 8.93 on a right. The lightning fast Brazilian performed two massive forehand turns, throwing buckets of water all over the lineup for a near-perfect score. He went on to surf a similar wave in Round Five and applied the same recipe to take another win and make a statement of his intentions in Pantin.